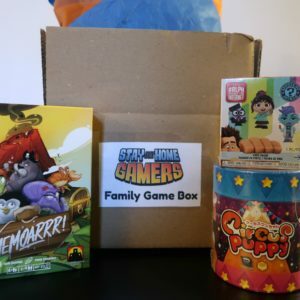 Stay-At-Home Gamers Family Game Box! 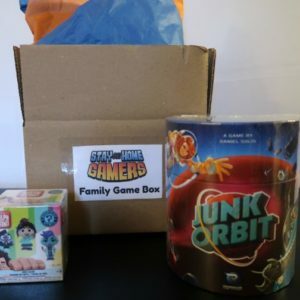 We're bringing positive family gaming fun back home and to your table! We curate quarterly family game night boxes. 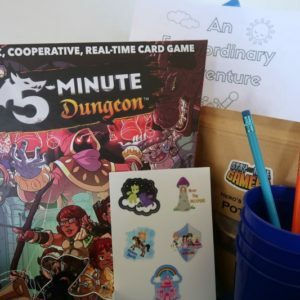 Each box features 1-2 games plus a few fun extra items such as geeky collectibles, gaming accessories, or something to help with your game time snack. When you receive your box, open it up together, and plan your next family game night. We'll also provide a link to a videos with How-To Play help and more! Order by December 20 to receive by Christmas. Also enjoy FREE SHIPPING! Sign up to be the first to know when we launch each box, get fun games in your inbox, and other surprises!